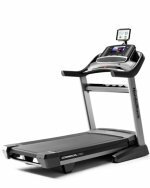 The Smooth 800 is the new entry level model from the company, packing in features you normally find on much pricier treadmills at under $1000. With incline, 32 built in workouts and a runner's cushioned belt, you'd be hard pressed to find more for your money. The 800 is a foldable machine, with SpaceSaver design and EasyLift Assist, two ICON Fitness patented technologies, for easily folding it up and storing it away. You get a 7" backlit display, a powerful 3.25 motor, SRS surface response cushioning and 0-15% incline capability to ramp up your workouts. Get the popular Smooth 800 treadmill on sale now! The Smooth 800 treadmill has been very well received by both users and industry experts. It has won numerous Best Buy awards from leading consumer entities, and people are impressed with the features that it includes given the relatively low price tag. 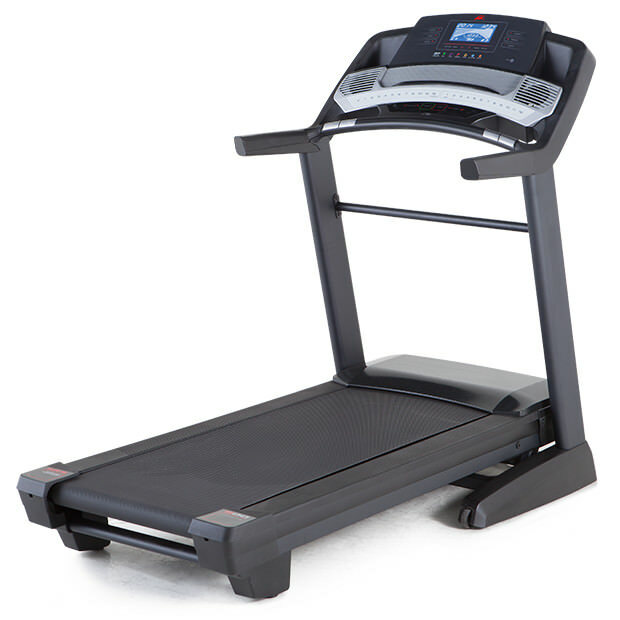 Smooth treadmills are very well made, and although it is their entry level model this one should satisfy even the most serious runners with the large deck size, solid construction and powerful/quiet motor. You also get incline, a generous amount of built in workouts, iPod integration for your music, a CoolAire workout fan and iFit compatibility. Keep in mind though that you do need to purchase a separate iFit module to use the program, which comes with a free one year subscription. You can then access all of the custom workouts, tracking and Google map routes through your tablet or phone. It's worth the price, trust us. There's nothing really lacking in the Smooth 800 treadmill. It doesn't have decline...you'll have to upgrade to the A35T model if that's something you are interested in. We think that the 800 is a really great value for what you are getting. There's a strong motor, a nice sized runner's cushioned belt, tons of workout programs (and even more with iFit), an iPod port for your music, and easy speed and incline controls. If you're looking for a machine under $1000, it's one of our top picks and definitely one to keep your eye on.